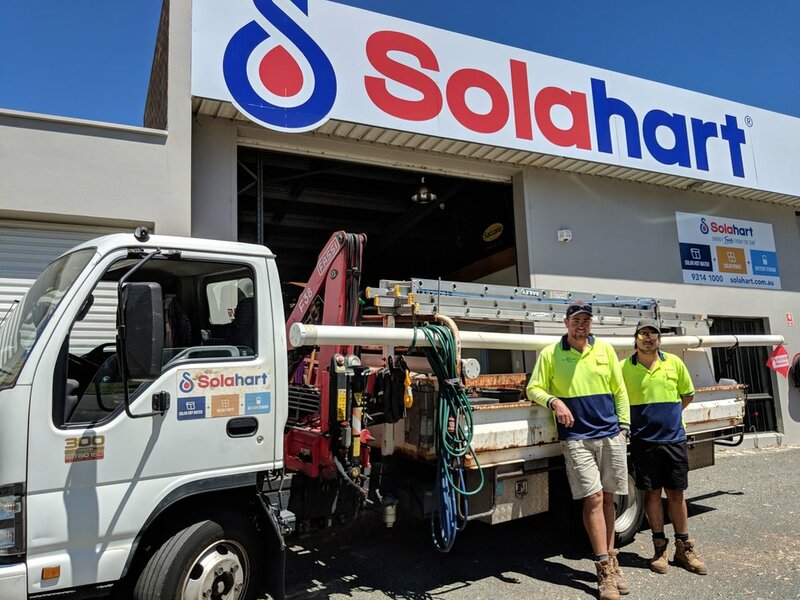 Solahart Fremantle started its life as Solahart Melville on North Lake Road in Myaree, more than 40 years ago, and since then has been through a few locations and a few proud owners. In 2016, Jen and Aaron Godwin took the reins from Carol and Jaap who have served Solahart proudly for over 20 years. Jen manages the front-line operation of the Dealership and makes sure everything runs smoothly here at Solahart Fremantle. Aaron leads the Sales team and is able to help with any technical or sales enquiries. Aaron builds a strong rapport with our clients and delivers first class service to the Fremantle area. Jen and Aaron live locally with their young family, just around the corner from the store in O’Connor, and as locals they know the area well and support other local business, sporting clubs and charities. In fact, our Plumber, sales and admin staff are all locals too! We share the Solahart ethos of making sure we exceed customer’s expectations. Let us show you how to save hundreds or even thousands on your energy bills each year with our free in-home quote service; we even have finance options available to suit your needs. Feel free to call in to our store for a chat and a cup of coffee and we can fill you in about the latest and greatest things in the Solar Industry, or we can come to you any time. Solahart Fremantle pride ourselves on quality workmanship, and are proud to share a few recent jobs we have done. Our installations include Solar Hot Water, Solar Power, Commercial Solar Power, Battery Storage and the new Solahart PowerStore. Solar is a great way to reduce your energy bills and your reliance on energy companies by harnessing the sun’s free energy. Solahart has been delivering hot water FREE from the sun to households around the world for over 60 years, and today our range has expanded to include solar power (PV) and battery storage technology. Replace your old gas or electric water heater with a Solahart solar water heater and save on your hot water energy use. 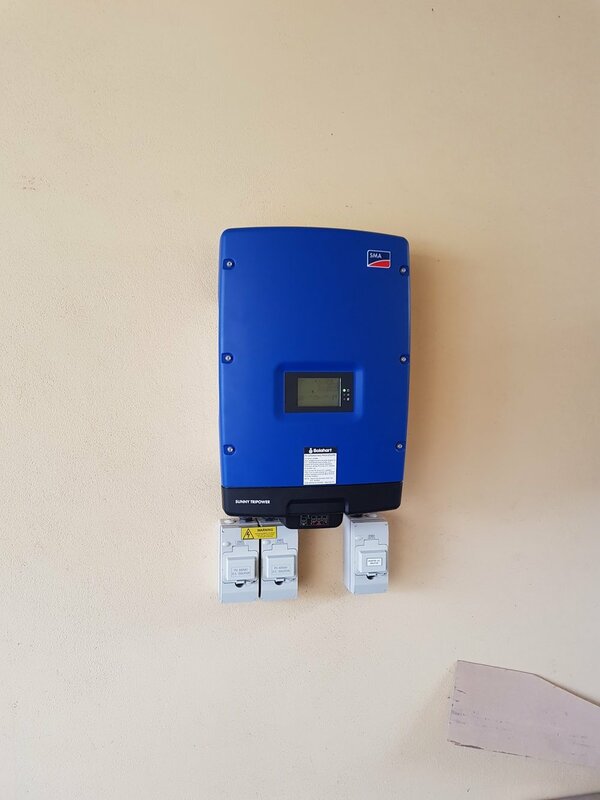 Install a Solahart PV system to provide power to your home and supplement this with a battery to store free power for use at night or when the sun’s not shining. Any surplus power can then be fed back into the grid. Solahart also has an extensive range of commercial solutions for businesses trying to reduce their energy bills, particularly where they use a lot of hot water or power during daylight hours. Switch to a Solahart solar water heater and save up to three tonnes of carbon emissions per year, which is equivalent to taking a small car off the road. Install a Solahart PV system to enjoy more independence from the grid and then add a battery for a complete solution. Our goal is to help you make the decision on which solar solution best suits you, to not only save you money but also reduce your carbon footprint and live a more sustainable lifestyle. The great news about residential and commercial solar is that the Government has included both solar hot water and PV as technologies which are eligible for incentives known as Small-Scale Technology Certificates (STCs), which are linked to Australia’s Renewable Energy Target (RET). The value of STCs fluctuate depending on market factors, however are currently worth almost $1,000 for a typical solar water heater and up to $4,000 for a large residential PV system. In commercial applications the incentive increases significantly, as systems go up in size. 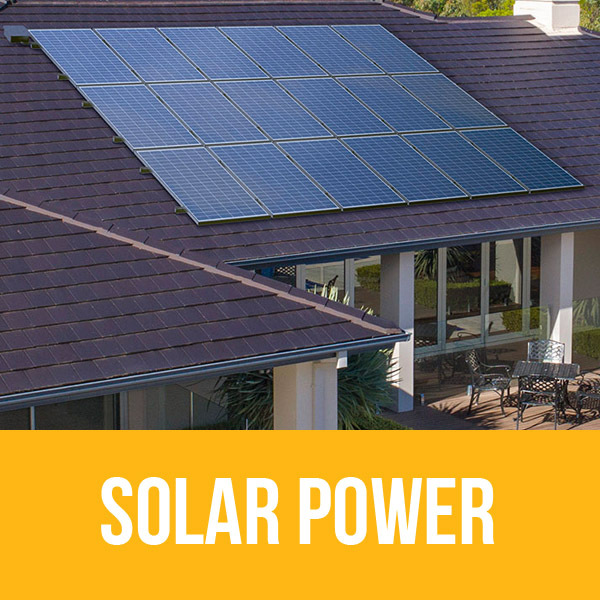 These incentives are generally paid as a point of sale discount, thus greatly reducing the up-front cost of going solar – as local Solahart dealer, we can provide all the information you need during a free on-site solar assessment. 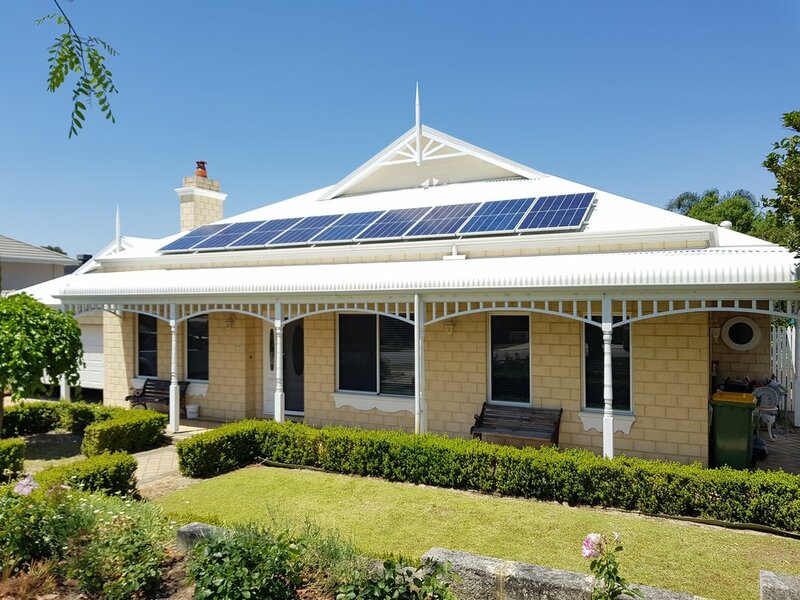 The majority of Australians believe solar power-equipped homes are more valuable than those relying on traditional means of electricity according to research conducted by a leading real estate online website in 2015. There are many other studies done here in Australia and around the world that support this research and although the value is not quantifiable, you would imagine a home with PV or solar hot water would be more saleable than a similar property which is not as energy efficient or eco-friendly. Installing a Solahart solar solution means the home has the added benefit of a brand with over 60 years' experience in solar for even more peace of mind. Switch to a Solahart solar water heater and save up to three tonnes of carbon emissions per year, which is equivalent to taking a small car off the road. The great news about residential and commercial solar is that the Government has included both solar hot water and PV as technologies which are eligible for incentives known as Small-Scale Technology Certificates (STCs), which are linked to Australia’s Renewable Energy Target (RET). The value of STCs fluctuate depending on market factors, however are currently worth over $1,000 for a typical solar water heater and up to $4,000 for a large residential PV system. In commercial applications the incentive increases significantly, as systems go up in size. These incentives are generally paid as a point of sale discount, thus greatly reducing the up-front cost of going solar – as your local Solahart dealer, we can provide all the information you need during a free on-site solar assessment. Our experience with Solahart Fremantle was exceptional from the start to the finish. All personnel were delightful and very helpful. Their pre and post sale service was exceptional. We are delighted with our new hot water system. Great to get service of this calibre from a local company. The process of replacing and buying a new solar hot water system was quick and efficient from start to finish. The service was excellent and the Solahart was very good value. Thank you to everyone I dealt with and I recommend them to anyone needing a new solar hot water system. Want to thank everyone involved was a fabulous company to deal with and wouldn't hesitate to recommend you to anyone needing your product. Thank you. The team were very professional and patient on what turned out to be a complex job in a high steeply sloping roof. All credit to you and I would definitely use you again. We called at 7:30 on Saturday morning after my father's solar system was leaking and had the owner here by 8:30 with a new system organised. Unfortunately it was the Christmas week end but they had a new system installed as soon as possible.The installer was on time, very efficient and polite. The system hasn't missed a beat! Great service.